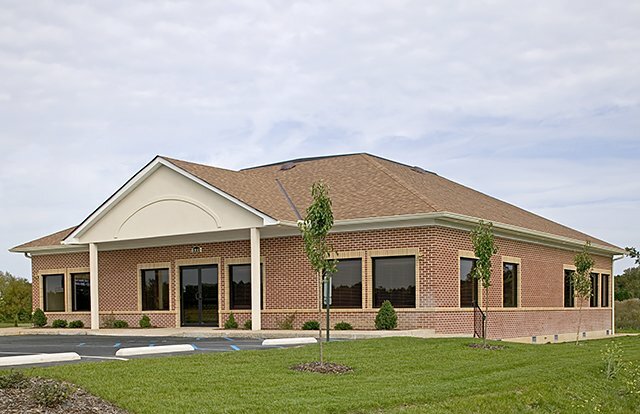 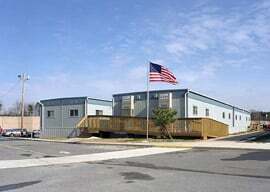 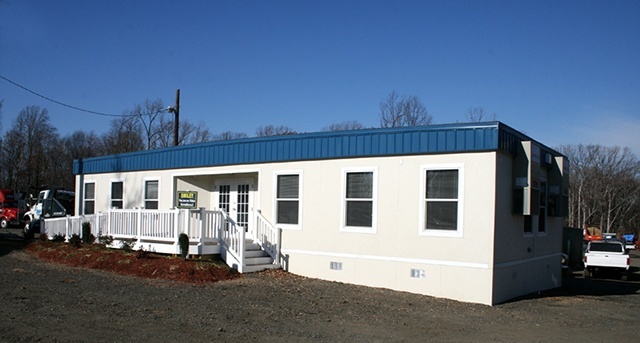 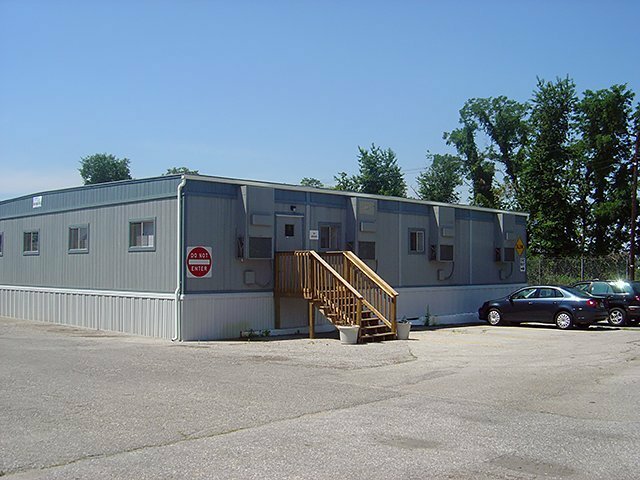 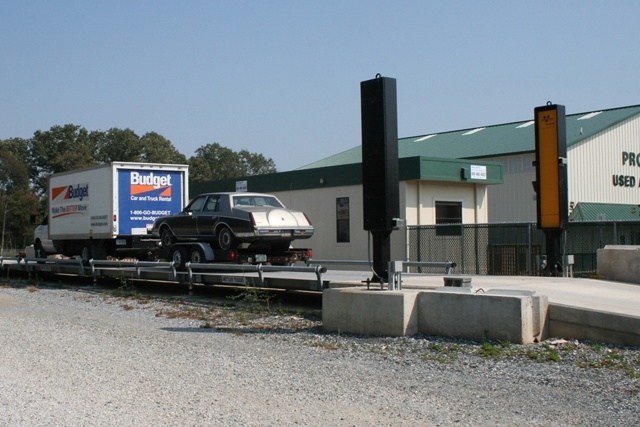 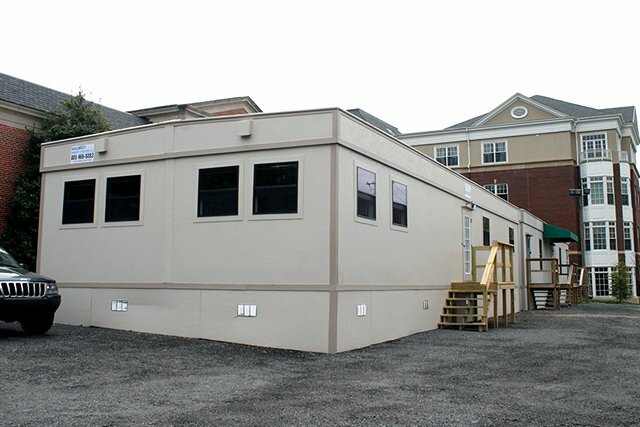 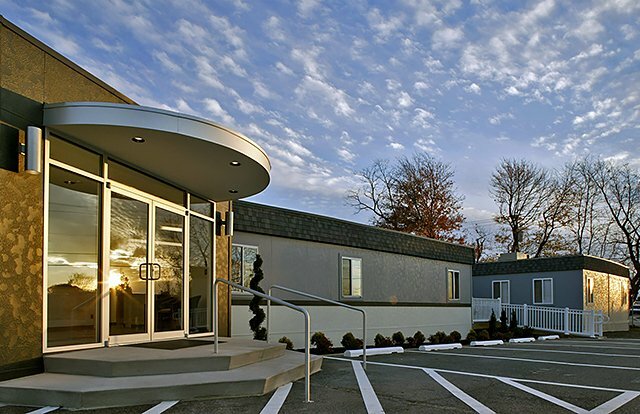 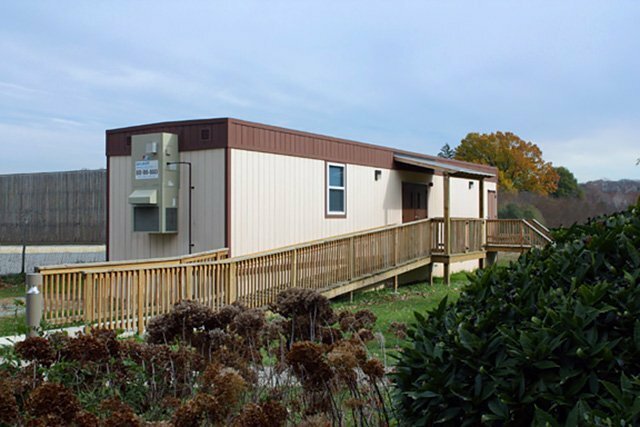 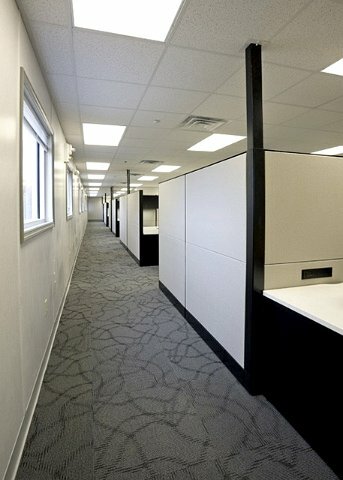 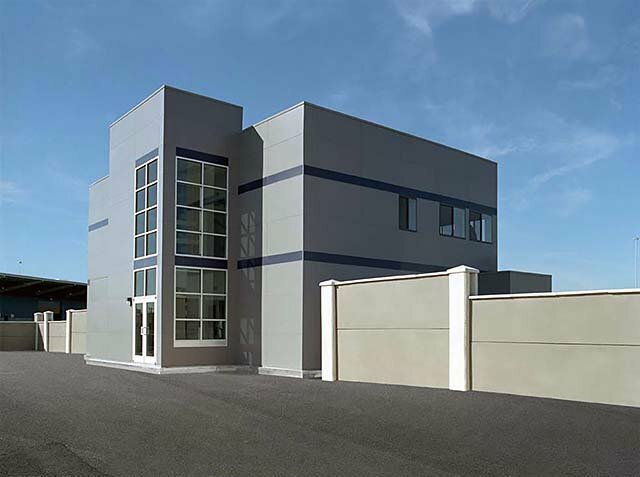 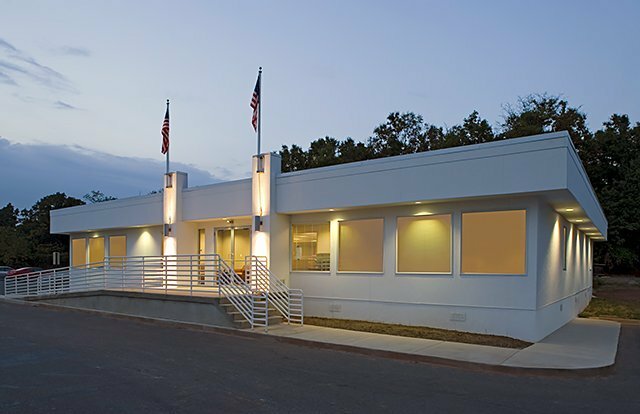 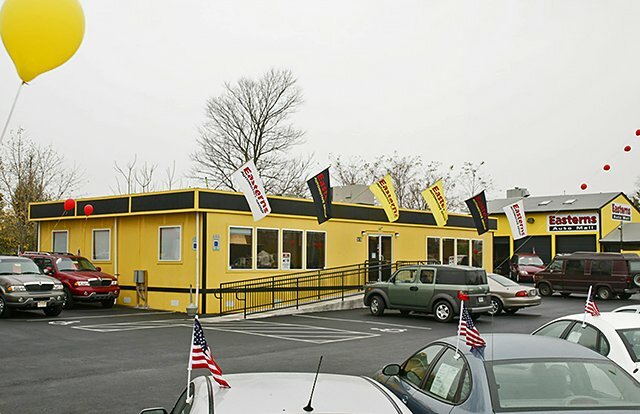 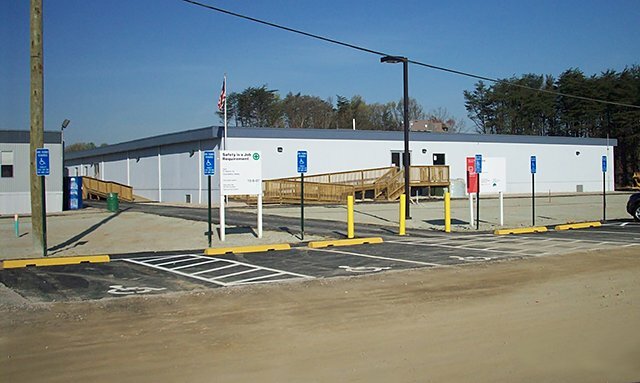 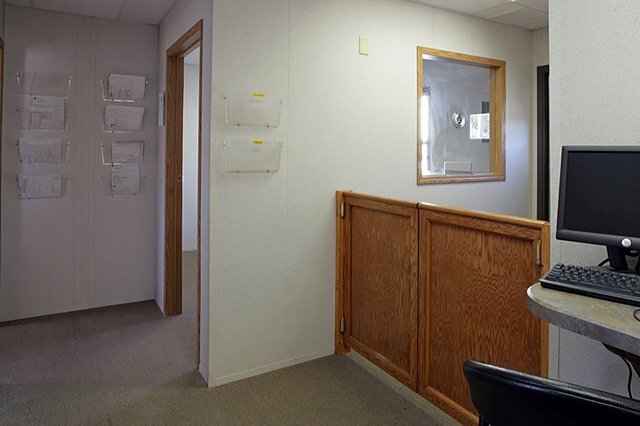 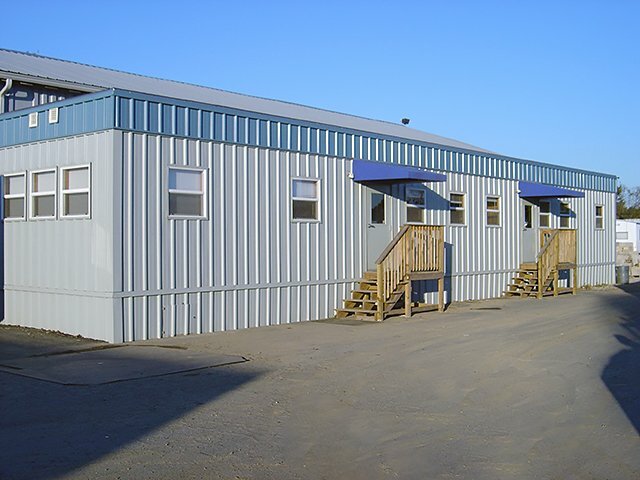 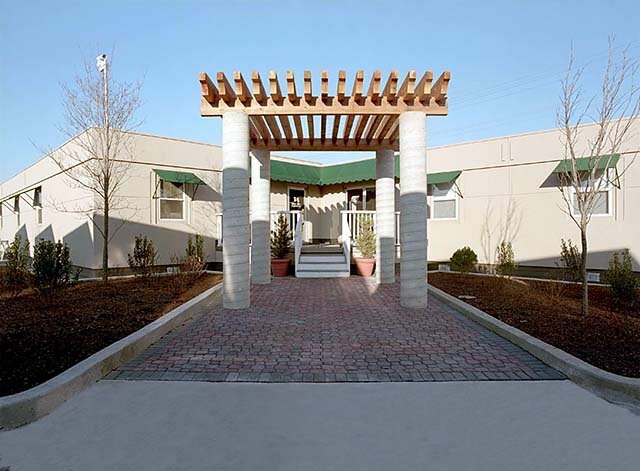 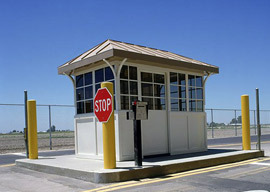 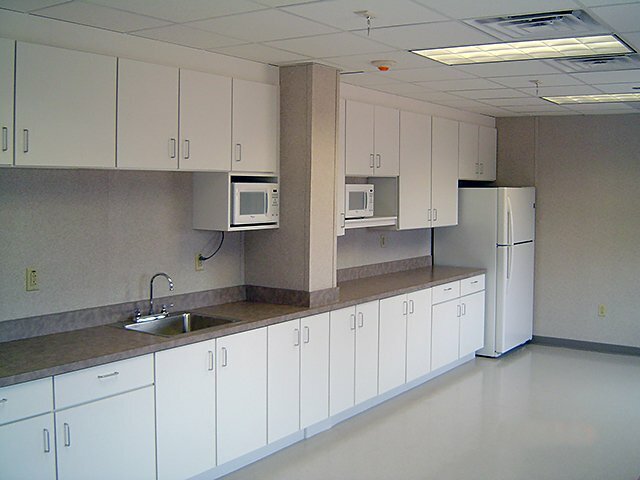 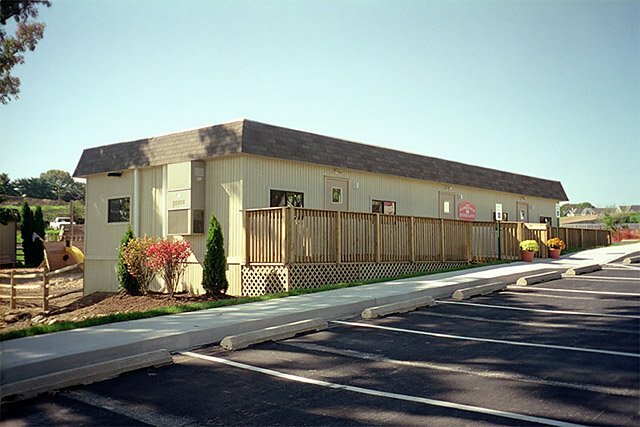 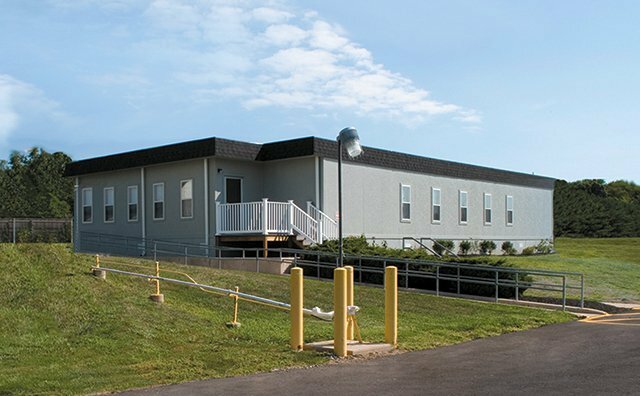 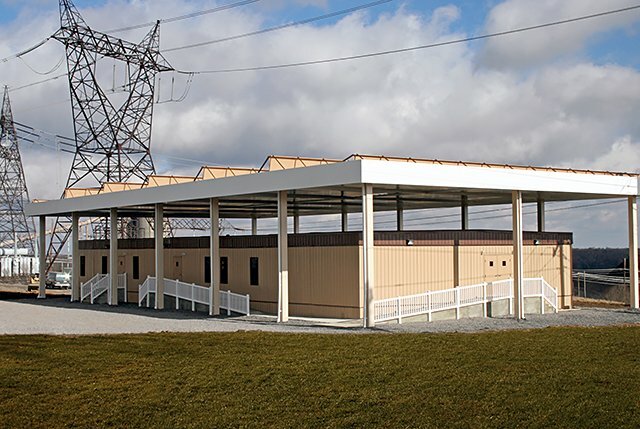 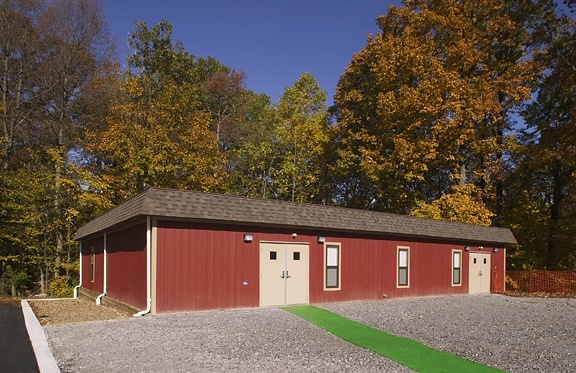 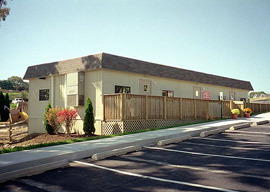 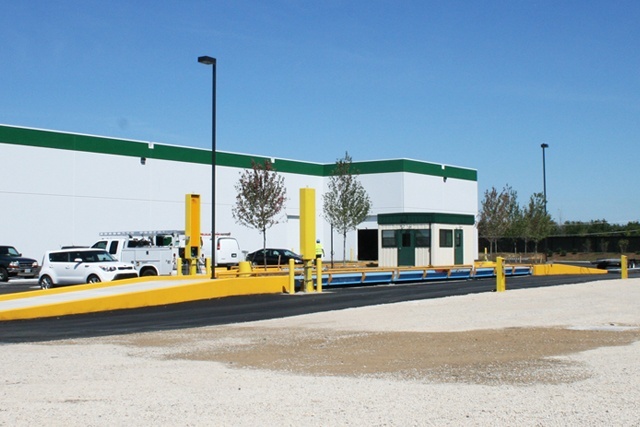 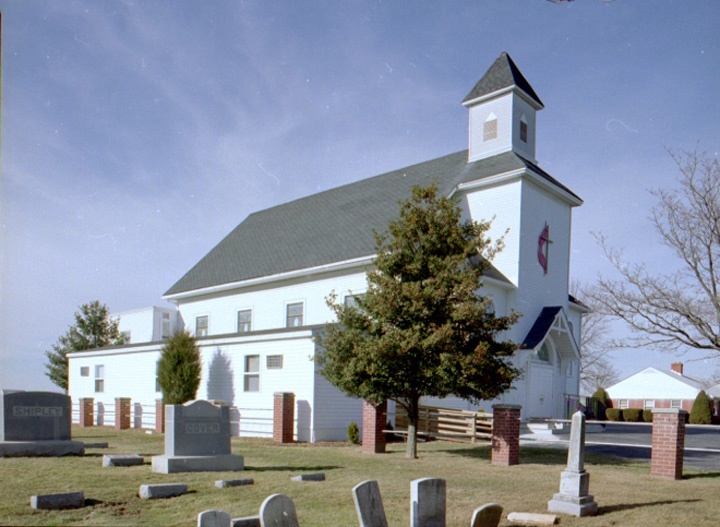 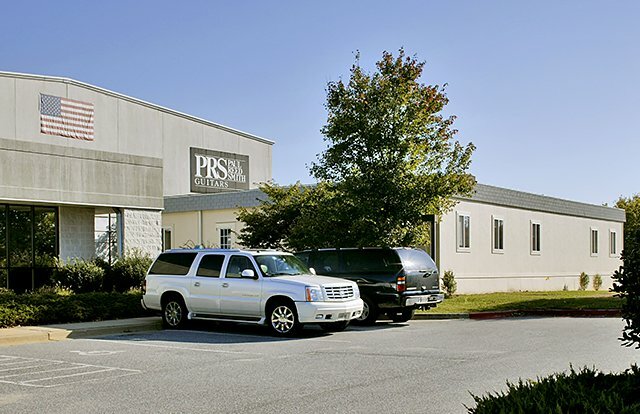 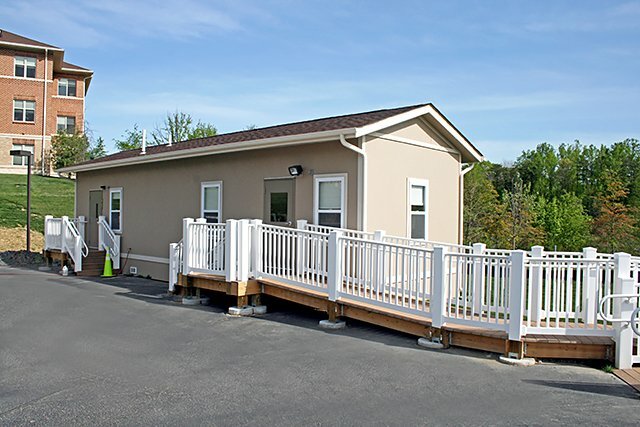 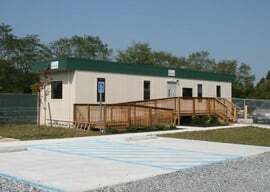 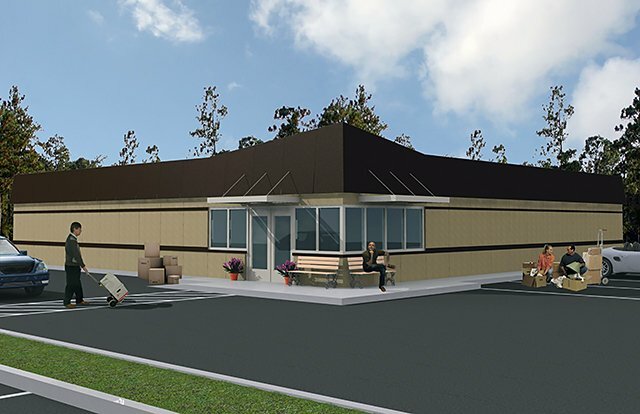 Fort Belvoir Commercial Offices | Wilmot Modular Structures, Inc. 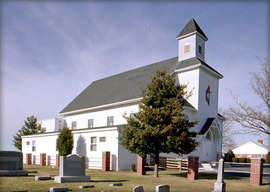 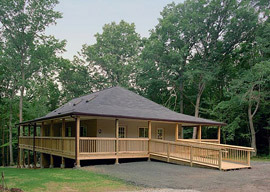 The roof and column spacing was designed to hold a 36'x60' Observation Deck on the roof of the building. 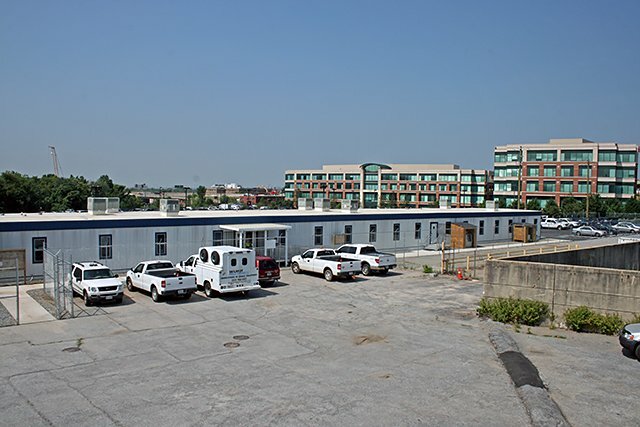 The challenge of connecting the roof deck on site required the factory to build parapat walls on the full perimeter of every module and the site crew to remove the points used for cabling during the crane set. 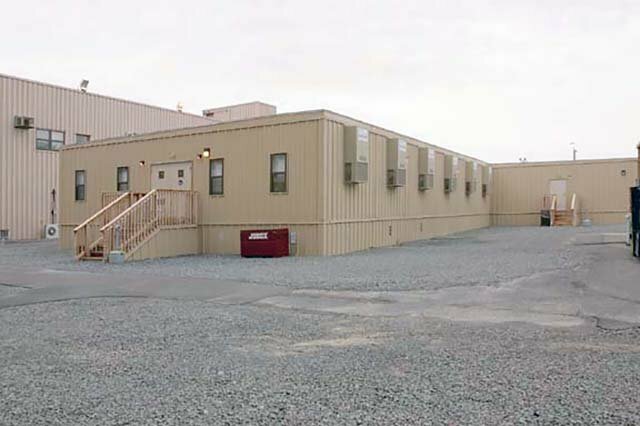 The building houses a large data room where equipment radiates heat. 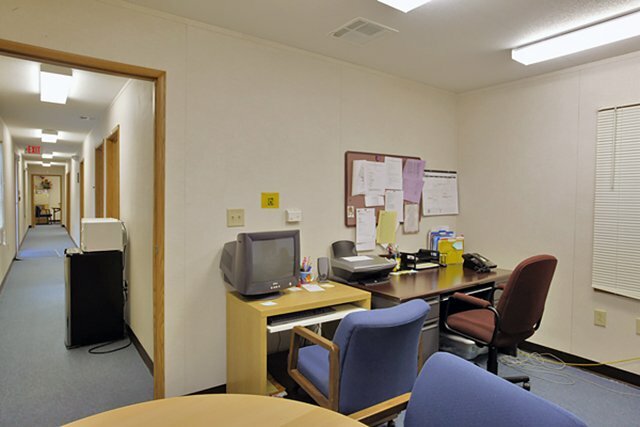 It was decided to build a mini split system which creates a separate HVAC system in that room. 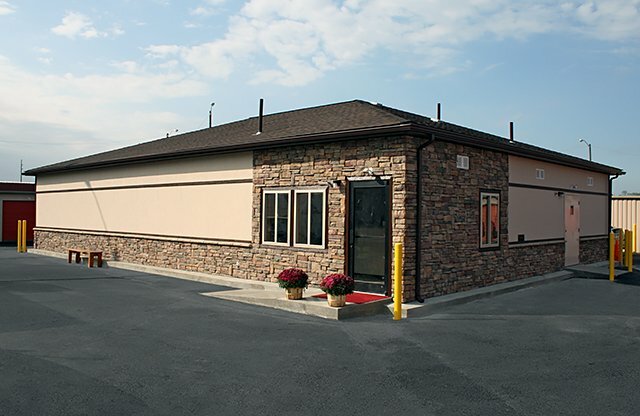 By doing that, the customer did not have to install a larger HVAC system to runthe whole building saving them money and being more energy efficient. 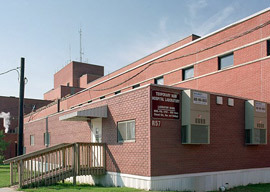 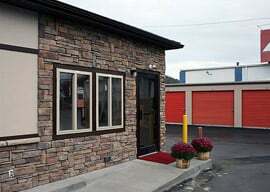 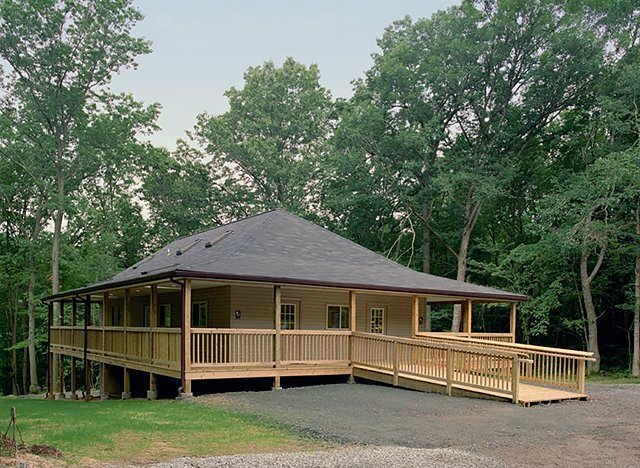 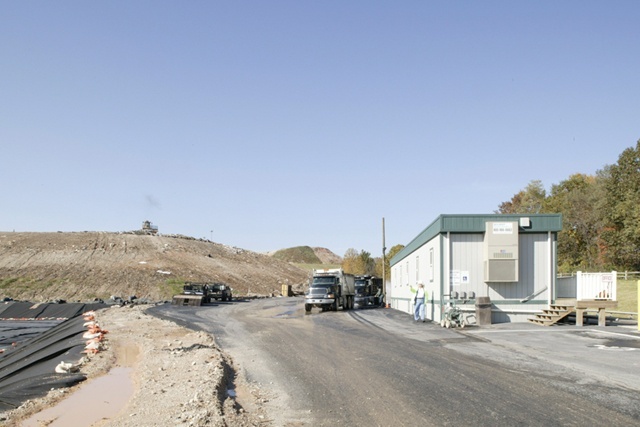 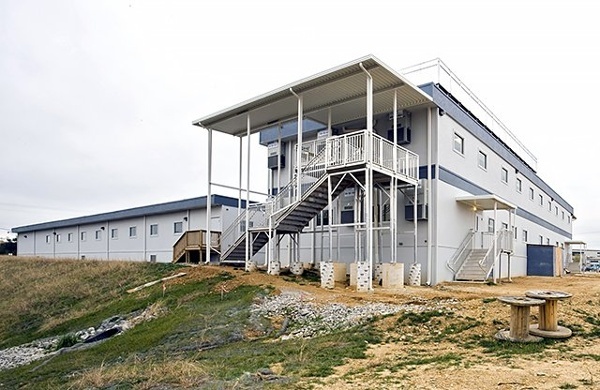 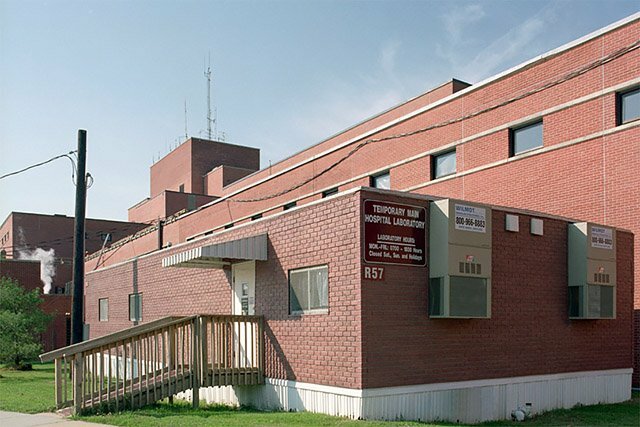 This building consists of 2 stories located on a hill overlooking a 70-acre construction site. 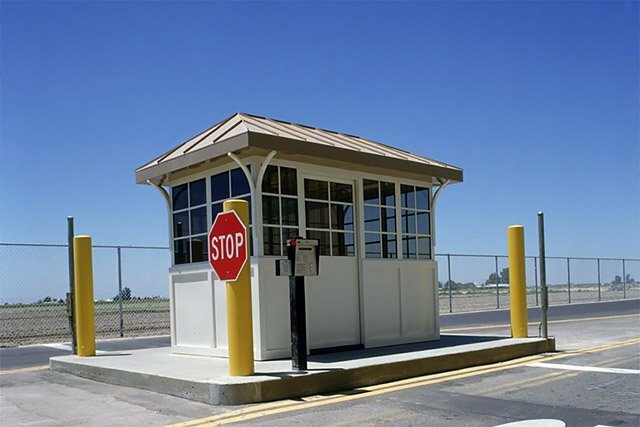 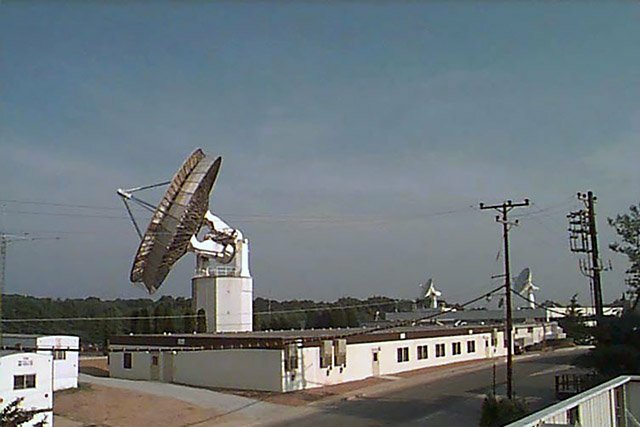 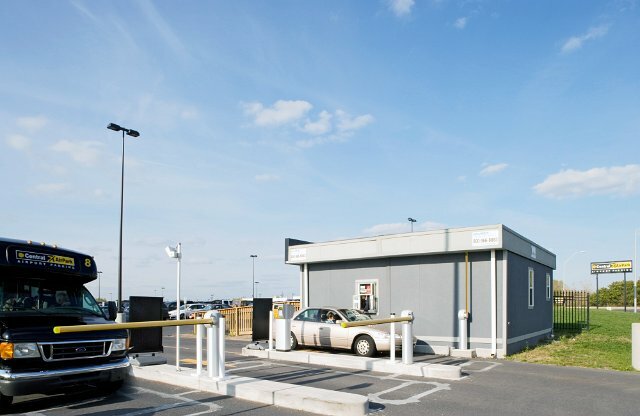 It has an observation deck on the roof as well as windows that are strategically placed to allow the customer maximum visibility of the site. All building specifications match a 19,000 sq. 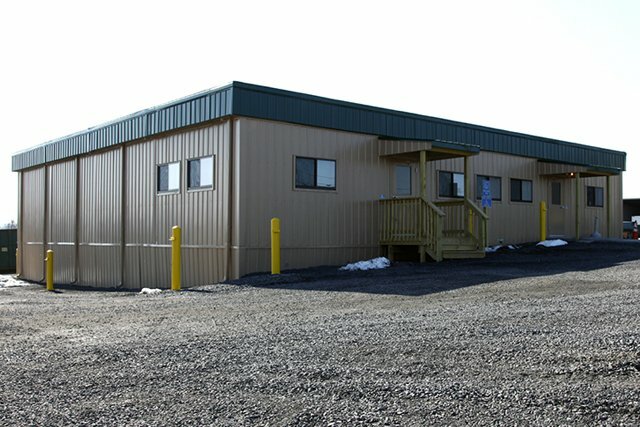 ft. modular building sitting next to the new modular facility including a contrasting belly-band on the 2-story to match the mansard on the 1-story modular building. 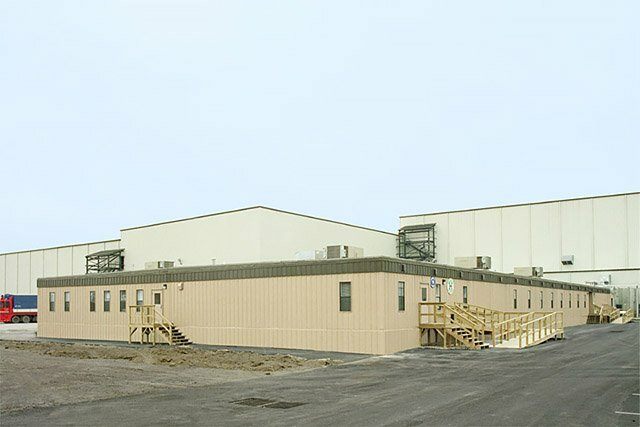 A climate controlled breezeway was built on site to connect both buildings. 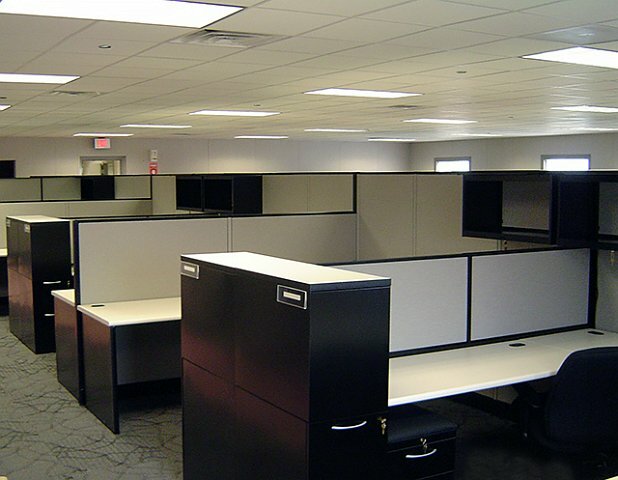 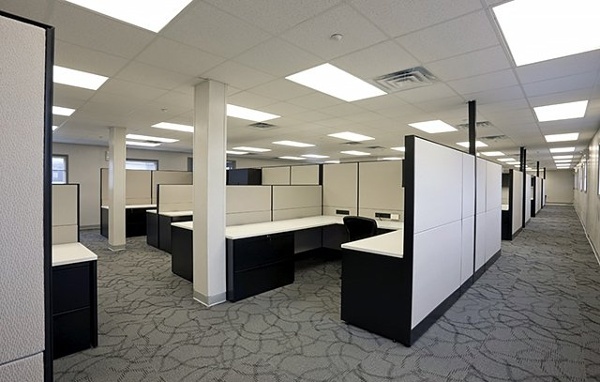 The balance of the office space consists of space for cubicles which provides flexibility and maximum use of space as personnel changes on the job.